The top 6 players in the oil refining pumps market account for nearly 45% share. With diverse product portfolio, leading players in oil refining pumps market are planning to consolidate their position globally. 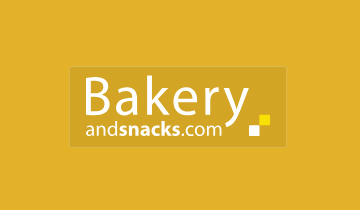 New product launches, acquisitions, and strategic partnerships are some of the key strategies of the leading players. Leading players in the market are also focusing on integrating new technologies in their products to meet the evolving need of end-users. 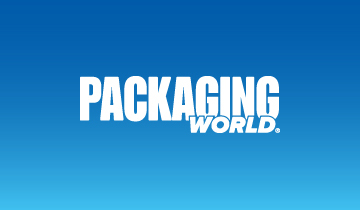 Xylem, Flowserve Corporation, KSB SE & Co. KGaA, Weir Group, Sulzer Ltd., and GRUNDFOS are among the top players in the oil refining pumps market. Fact.MR’s study offers incisive insights on the oil refining pumps market. A summary of the report is available upon request. According to the International Energy Agency (IEA), the global demand for oil is likely to rise 1.5 million b/d to 99.3 million b/d in 2018. Moreover, the demand for power is growing in developing regions, and heavy dependence on oil to meet the demand is likely to result in development of oil refineries, thereby, driving oil refining pumps sales. As per the World Oil Outlook 2040 report by Organization of Petroleum Exporting Countries, OPEC member countries remain committed to supporting investment in construction of pipelines and building expansion of oil refineries and terminals. Moreover, energy demand in developing countries is likely to grow at an average rate of 1.9% p.a. during 2015-2040. Refineries are also likely to produce more distillate fuels blended with off-spec fuel oil. Growth in the US natural gas liquid and crude oil in recent years is resulting in rise in direct capital investment in oil and gas infrastructure. Spain, Italy, and Germany are home to crude oil refining industry in Europe, with high refining capacity. Increasing demand for crude oil in these countries is also contributing to growing investment in oil refineries, resulting in increased demand for oil refining pumps. Digitization is steadily gaining traction in the oil and gas sector leading to cost-saving and profitability. Smart pumps are gaining popularity in the oil refineries across the globe. Industrial Internet of Things (IIoT) -enabled pumps and energy-efficient oil refining pumps are being introduced in the oil refining pumps market. Pump manufacturers are integrating IIoT in their products to help oil refineries optimize operations and avoid unplanned outages. Players are focusing on adding smart technology to avoid outages and reduce processing costs. This trend is more pronounced in emerging nations. Stringent regulations on energy consumption and pollution are also accelerating the adoption of intelligent oil refining pumps. Of particular significance is the growing adoption of wireless technology in data collection and data optimization. The demand for smart oil refinery pumps in oil refineries is growing to monitor flow rate, pipe thickness, pressure, and more. With the strict regulation of emissions worldwide, major oil companies are focusing on increasing their investments in low-carbon and non-fossil fuel energy sources. A significant percentage of oil-based power production comes from oil refineries. However, with few exceptions in the OECD countries, the use of petroleum products in power generation is declining. Europe is witnessing a rapid transformation of energy system from oil and coal-based to renewables. Petroleum products from oil refineries are used on a large scale in the transportation sector. However, Electric Vehicles (EV) going mainstream in various countries will impact the oil refineries. Moreover, countries like the UK and France are planning to stop selling diesel and gasoline vehicles by 2040. A projected decline in petroleum demand is likely to impact the production, which in turn, is likely to impede sales of oil refining pumps. The demand for refinery products such as marine fuel, jet fuel, and other products used in petrochemicals with no credible low-carbon substitute is likely to remain positive, thereby resulting in growing demand for oil refining pumps used in refineries. Fueled by growing demand from transportation and industrial sector, countries like India and China are focusing on increasing their refining capacity in the coming years. Oil companies in Southeast Asia are also pumping billions in expansion of downstream refining capacity to meet energy security targets. According to the Energy Information Administration (EIA), India will maintain its status quo as the fastest growing petroleum products market in Asia. Steady demand from transportation industry is driving demand for crude oil in Southeast Asia. New refining investments are being made by state-run companies in Malaysia, Thailand, and Indonesia. Vietnam is also moving towards major refinery expansions. The Middle-East region is likely to emerge as the global refining hub in the coming years with refining capacity expansion and modernization of existing refineries. Crude oil imports in India is also growing with increasing demand for heavier grades of crude by refineries in India. 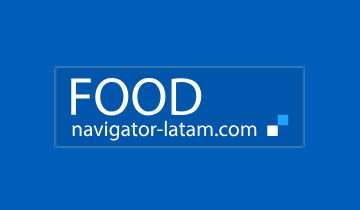 For detailed analysis on all the key market factors, request a sample. 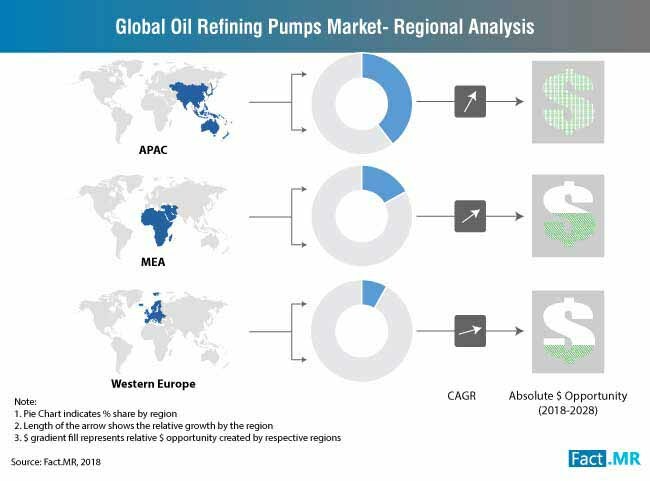 The competitive landscape in the report on oil refining pumps market provide details on the leading players in the market. This section includes compelling insights on the latest developments, key strategies, new product launches, and focus areas of the major players in the oil refining pumps market. A dashboard view along with the SWOT analysis of companies in the oil refining pumps market is also included in the report. Xylem recently signed a MoU with Ethiopia’s Ministry of water, irrigation, and energy to improve water-security standards by providing additional sewage coverage and water-system optimization services. Grundfos is planning to open its third pump production unit in India by 2020. Meanwhile, the company has already opened a new facility in Florida to serve water and wastewater industry. KSB has added new submersible borehole pumps to its product portfolio. The newly launched pumps are capable of handling flow rate of up to 5000 m³ per hour. Alfa Laval has won two orders to supply pumping systems for oil platforms in North Sea. The combined value of the orders is approximately SEK 175 million. The order includes offshore pumping system for injection of seawater in production wells and for firewater. Gardner Denver Holdings Inc. has acquired DV systems. 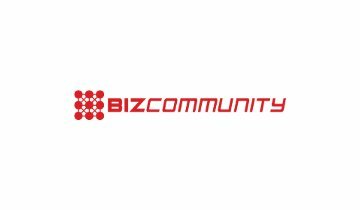 The acquisition will support the company to expand in Canadian market and leverage the company’s operational, commercial and R&D capabilities. Oil refining pumps are used to transfer fluid from one location to another. Various types of oil refining pumps are centrifugal pumps, rotary pumps, and reciprocating pumps. Different types of oil refining pumps are integrated in the refining system for a specific purpose and play an important role in purifying and transporting different fluids. The report on oil refining pumps market provides key insights and forecast on the market. The important factors in the oil refining pumps market influencing the growth are also offered in the report. The objective of the report is to offer authentic information on the oil refining pumps market, enabling the readers to plan business strategies accordingly. The report also focuses on the challenges in the oil refining pumps market and growth opportunities for market participants. 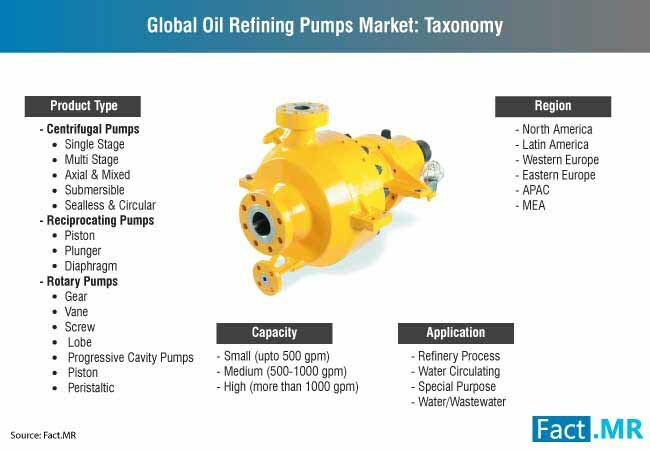 The oil refining pumps market is segmented on the basis capacity, product type, application, and pumps characteristics. These major segments are further divided into sub-segments to offer clear picture on the oil refining pumps market. Based on the capacity, the market is segmented into small (upto 500 gpm), medium (500-1000 gpm), and high (more than 1000 gpm). On the basis of product type, oil refining pumps market is segmented into reciprocating pumps, centrifugal pumps, and rotary pumps. By application, the oil refining pumps market is segmented into refinery process, water circulating, special purpose, and water/wastewater. Based on pump characteristics, the oil refining market segment includes standard pumps, engineered pumps, and special purpose pump. The report on the oil refining pumps market also offers answers to some important questions. What will be the revenue share of centrifugal pumps in the oil refining pumps market? 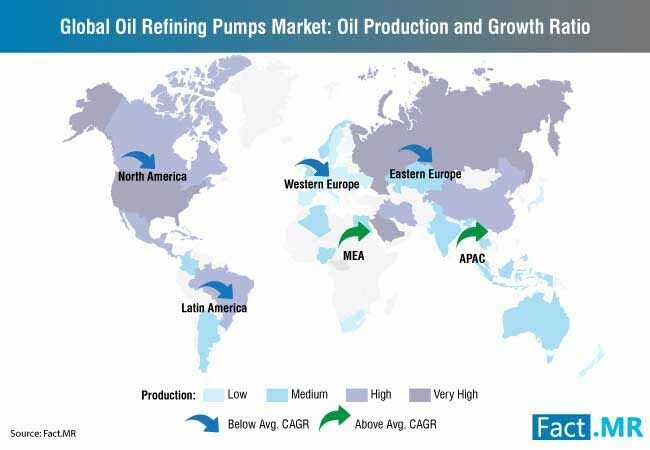 Which region is expected to dominate the oil refining pumps market? Which type of pumps based on capacity will witness highest growth in oil refining pumps market? Which country in APAC will witness significant growth in oil refining pumps market? The report on the oil refining pumps market provides critical information on the market with the help of constructive research methodology. The research methodology to gain actionable and valuable insights on the oil refining pumps market includes both primary and secondary research. Interviews were conducted with the oil refining pumps market experts to gain important information on the growth of the oil refining pumps market along with the forecast. The insights garnered in the report are also cross-validated by interactions with industry experts during primary research.